Alpanet-Polish Internet Systems has been on the market since June 2000. During this period we have acquired hundreds of satisfied customers, and gained extensive experience in creating websites and (e-commerce systems) internet stores. 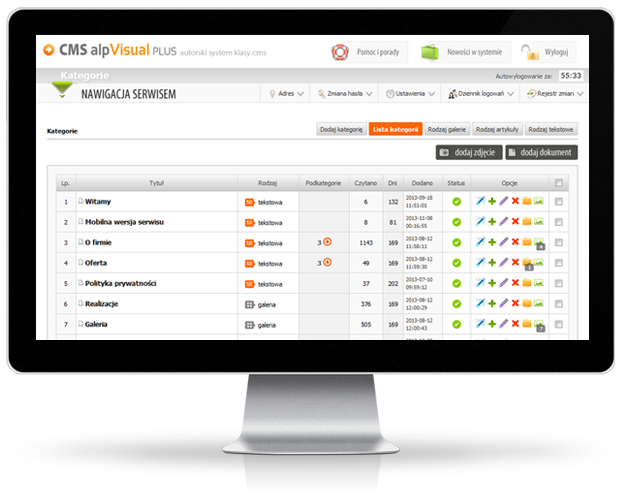 The pinnacle of our work is creating CMS ALP VISUAL PLUS SYSTEM, implemented in all our projects. Here we present a list of modules and features starting automatically when you place an order. An internet application which allows you to easily control and manage your web service. An application which allows you to effectively manage multiple e-mail and FTP accounts. This well designed web-based email client lets you send, receive and manage your emails. Find out what is happening with your website – clearly presented daily, monthly, visitor statistics. Every single project designed by our company is tested to ensure that it is SEO friendly. 3 phase advanced testing process guarantees the functionality of your website. Guaranteed safe usage reliability- giving our customers reliable and safe access to CMS application. Archiving with a possibility of restoring either full or partial spare copy. 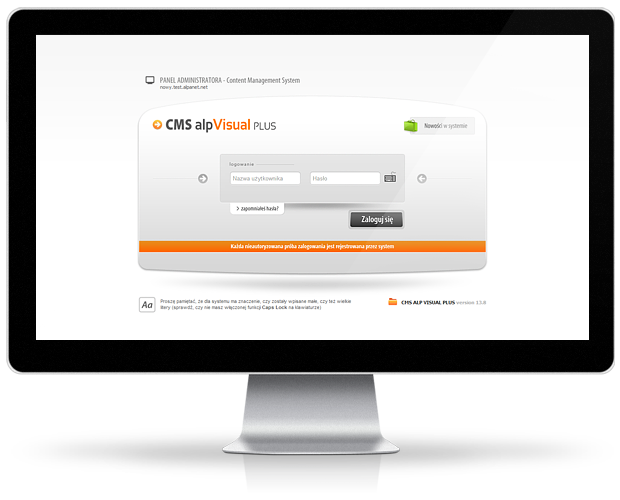 We give our clients secure, reliable and easy-to-manage bespoke CMS ALP VISUAL systems giving you full control of your website. The module structure allows you to easily expand and add new modules and functionalities. To date Alpanet-Polish Internet Systems has designed and implemented over 700 services and e-shops. Here we present 120 chosen web services completed over last 4 years. Here are some of the most recent references from our customers. We thank you for your appreciation of our services. "... The company has presented itself as a team professional experts with vast experience in internet services …"
"Alpanet Company has been reliable and professional. I recommend their services." "... I wholeheartadely recommend Alpanet-Polish Internet Systems. The company consists of competent and professional team always ready to help solve the problem ..."
"... All the work has been done without any delays, the team responsible for the project was flexible and always adjusted to our needs, quickly reacting to any changes or sugestions ... "